Home / Education / Find Out Florida: Why Do Schools Still Collect Students’ Social Security Numbers? Chad Kleinatland was at C.W. Norton Elementary in north Gainesville on a May afternoon with his son, Michael. 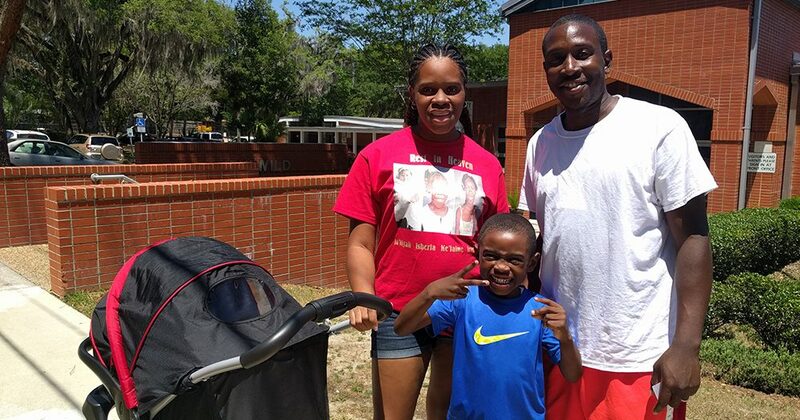 It’s the time of year Alachua County schools call Kindergarten Round-Up. Michael is going to Kindergarten at Norton in the fall. Is his father planning to provide the number to his child’s school district, as it asks of every new student? “I’ve never thought about it, honestly,” Chad Kleinatland said. Thousands of students enroll each year in school districts across Florida, and many parents likely share Kleinatland’s reaction. After all, requests for your or your child’s Social Security Number are ubiquitous in today’s society. If you have missed placed your child’s social security card here is how to get a replacement social security card. Florida’s public schools need an easy way to track those students from enrollment through graduation. Why not use the number that millions of American citizens receive shortly after birth? In short, it suggests states figure out their own way to track students. At least one of Florida’s 67 school district superintendents agrees. 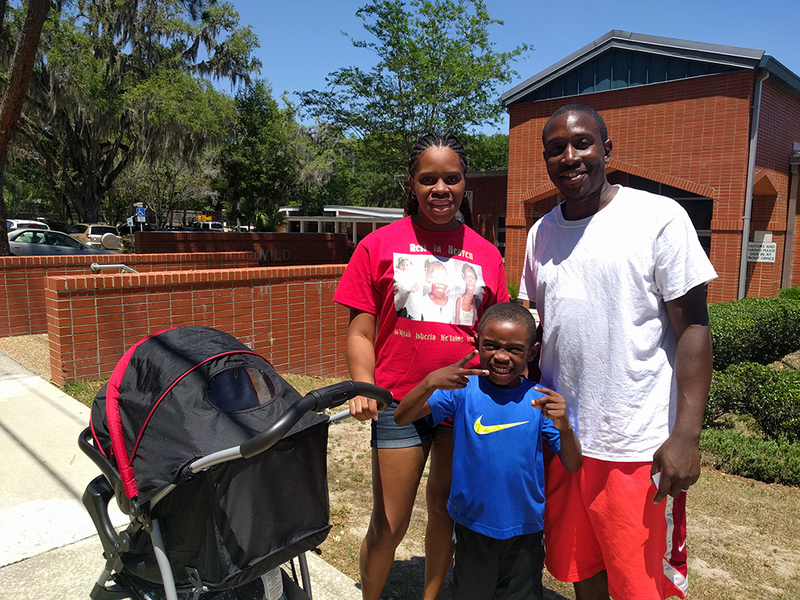 Ontario Smith Sr. also signed up his son, Ontario Jr., during Alachua County’s Kindergarten Round-Up this month. He didn’t give a second thought to the idea of providing Idylwild Elementary with his son’s Social Security Number. Still, the Social Security Administration’s Office of Inspector General was concerned enough about the practice nationally to issue an audit report in 2010. That review found “widespread” usage of Social Security Numbers as student identifiers. 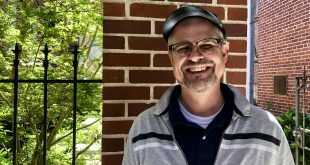 “While some State laws may require that K-12 schools collect SSNs in some instances, we believe some do so as a matter of convenience — because SSNs are unique identifiers and most students have an SSN,” auditor Patrick P. O’Carroll, Jr. wrote. 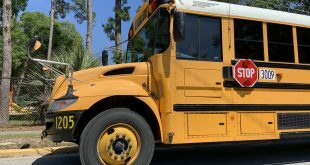 The audit also found Florida in 2010 to be one of only seven states nationwide that require school districts to request Social Security Numbers from students. That law is still on the books, though it also says students aren’t required to provide it in order to enroll or graduate. The Department of Education did not respond to a list of questions, such as why Florida is among the minority in collecting Social Security Numbers and whether the state gives instructions to districts about which employees should have access to that information. 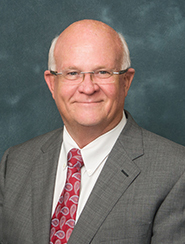 When state Sen. Dennis Baxley (R-Ocala) was in college in the early 1970s, the school identified him by his Social Security Number, to the extent that it appeared on each of his school exams. Such an analysis would likely mention these cases: a former Broward County band director who federal officials said in 2015 used former students’ personal information to commit fraud, two North Miami men the FBI found in 2015 with student information printouts, and hackers going after the Manatee County School District in February. 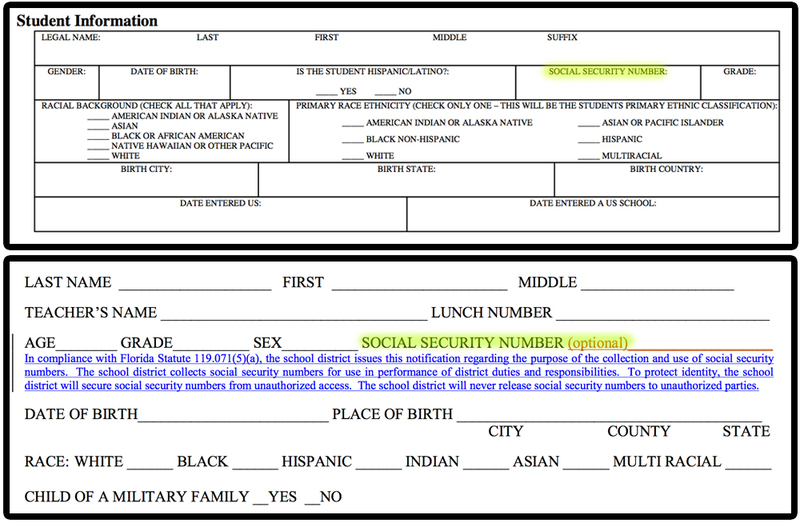 All school districts ask for Social Security Numbers from new students, though the wording on each district’s enrollment form is different. 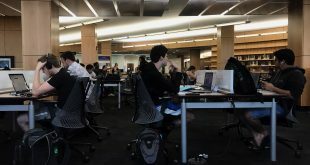 State law does not require that students and parents be notified that they can withhold their Social Security Number, and so some districts’ forms do not include that information. Top: Part of Alachua County’s form, which does not tell parents that providing a Social Security Number is optional. That disclaimer is included in a separate document of the enrollment packet. Bottom: Putnam County notes that it is optional and explains in general terms why it is collected. Levy County no longer uses Social Security Numbers to track students and parents for free or reduced price lunch, according to Kalee Wade, the district’s coordinator of benefits and risk management, because the entire county is enrolled in a free lunch program. There are alternatives, including the Florida Education Identifier, which the state created during the past decade. Districts must now use that 10-digit number to report data to the state Department of Education. The Florida Education Identifier is also sometimes used to identify students who choose to withhold their number from a school district. How many students and parents don’t give districts their number? Totals vary, and the higher totals of opt-outs don’t always correlate with those districts that tell students that providing their number is optional. *Bradford, Dixie, Gilchrist, Hernando, and Lafayette counties did not provide data when requested. Once a parent submits a child’s Social Security Number to a district, it’s stored in two ways. First, a paper copy goes into a student’s cumulative folder. In Suwannee County those are “eventually shredded,” according to the district. Alachua, Marion, and Union counties archive them after a student’s graduation. Union County, for example, has paper files going back to 1922. More importantly, though, is their electronic storage in the cloud. Alachua, Columbia, Levy, Marion, and Suwannee counties keep records in encrypted databases. “It’s very safe,” Keith Hatcher, director of purchasing and risk management for Columbia County Schools, said. I bet after the first school district that gets SSN numbers stolen and used to harm the students, the parents file suit. School district is liable. Then, all schools will stop collecting due to the un-necessary risk.